Make this protein-packed green smoothie recipe with fresh spinach, banana, orange, and Greek yogurt in under 5 minutes. Jump to the Green Smoothie Recipe or see our tips for making it. 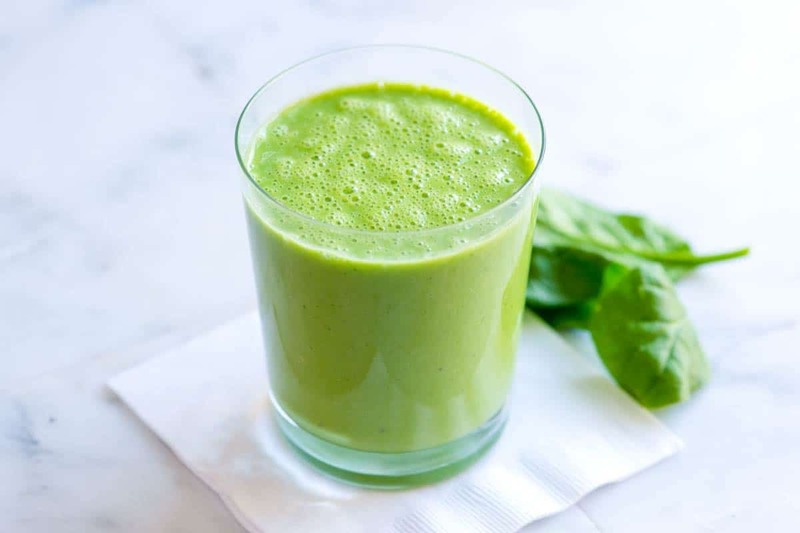 We love this green smoothie recipe packed with two cups of spinach. You don’t really taste the greens and instead get a creamy and fruity smoothie. YOU MAY ALSO LIKE: It only takes five minutes to make this easy banana smoothie recipe. Jump to the Banana Smoothie Recipe. There are so many green smoothie recipes out there. It’s very easy to make one to match your tastes. In our basic recipe, we combine banana, orange, yogurt, milk, and fresh spinach. By using Greek yogurt, the smoothie gets a protein surge. 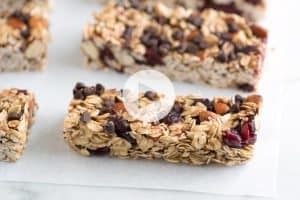 If you are looking for a dairy-free version, skip the yogurt and use a non-dairy nut milk instead (like unsweetened almond, cashew or coconut). Then to bump up the protein, add a couple tablespoons of shelled hemp hearts, which are quite high in protein. Peanut butter or almond butter also have a bit of protein and are delicious in this smoothie. 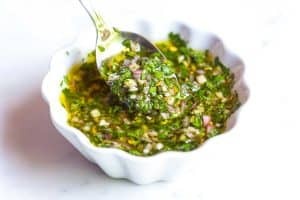 We always have spinach in the fridge, so it is our go to green, but kale or a boxed mix of superfood greens (usually with baby beet greens, baby kale and baby chard) work as well. You can play around with the fruits, too. 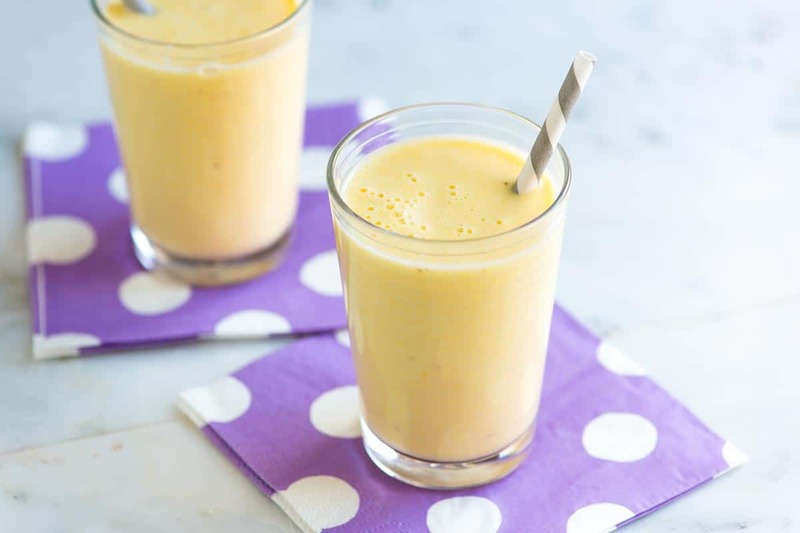 Mango makes smoothies just as creamy as bananas and pineapple is really tasty when combined with greens. One of our favorite things to add is a handful of frozen berries. 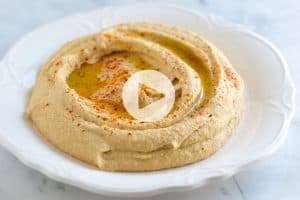 YOU MAY ALSO LIKE: With just a few simple tricks, you really can make creamy smooth hummus at home and yes, we really do think it’s better than store-bought. 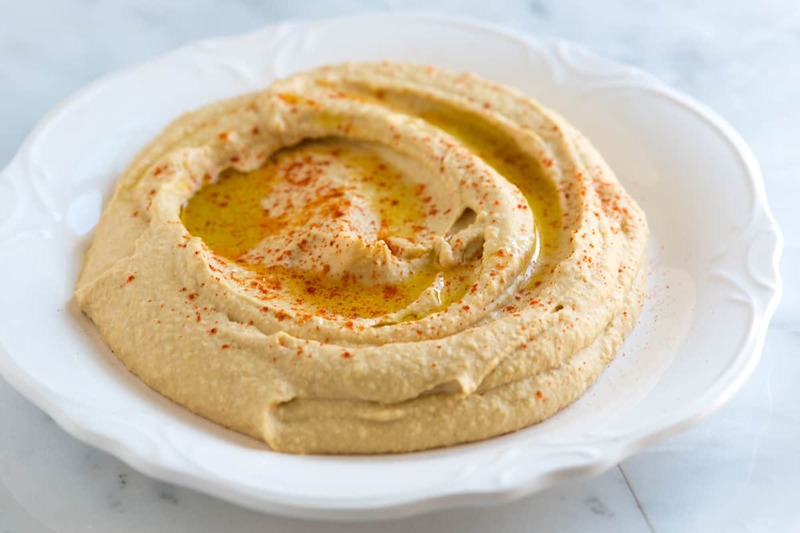 Click here to jump to the full Hummus Recipe. 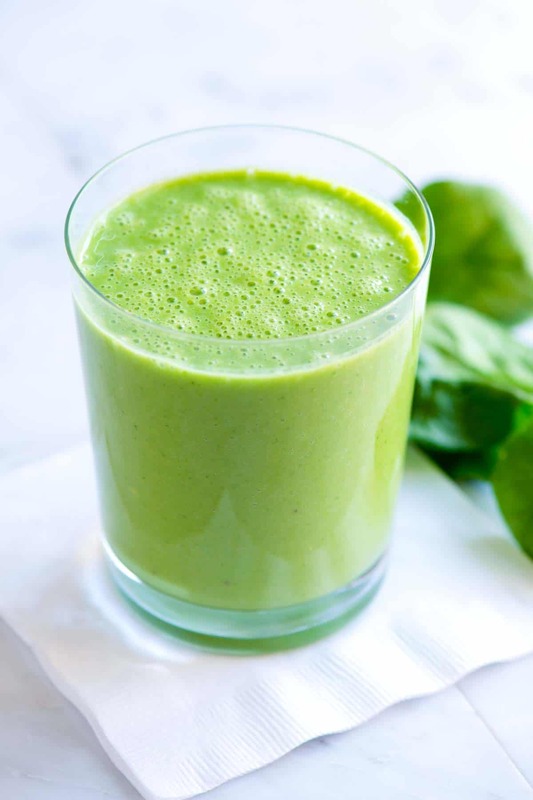 This creamy, protein-packed green smoothie is very simple to make and only takes a few minutes. 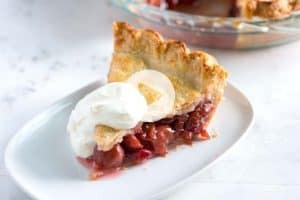 We’ve shared a basic recipe below with optional ingredients after that. If you are looking for a substitute for the Greek yogurt, simply leave it out or replace with more fruit (frozen berries are our favorite). Place all ingredients in a blender and blend until creamy, adding more milk or fruit to thin or thicken the smoothie. Serve immediately or freeze to enjoy later. Using a frozen banana makes this really refreshing and thick. This smoothie taste best fresh, but it can be frozen for later. To save the smoothie for later, add to a food-safe resealable plastic bag or container and freeze. Then 45 to 60 minutes before needing the smoothie, take out from freezer. We really love this smoothy, it’s delicious! We’re using 100 ml orange juice per serving instead of an orange which makes it nice and not to gluggy. I’d recommend swapping out the water for ice cubes (or just adding a few in with a bit less water) as it is much better cold. I’ve never heard of a green smoothie with dairy in it. Usually its just fruits, veggies etc. Interesting. I tried it and its not the same, ill stick to the regular green smoothies. I agree, this is a great way to start a day! I have a green smoothie every morning, and my 8-year-old too. I would skip dairy, though, and use some avocado or almond milk for creaminess. I sometimes add some flax seeds. When banana is really ripe, you won’t need any sweetener. Try orange juice, as it can get pretty thick, otherwise.